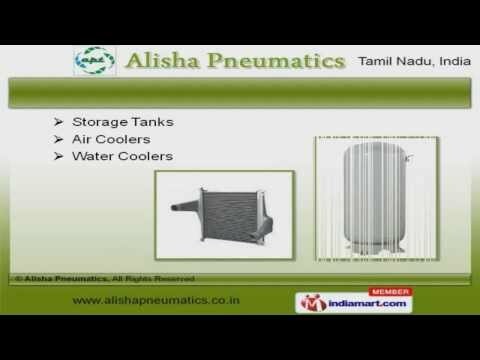 Welcome to Alisha Pneumatics, Manufacturer and Exporter of Compressed Air Purification Products. The company was established in 2010 at Coimbatore. We export to Sri Lanka, Bangladesh and Malaysia. Chettinadu Cement, Madras Security Printers are some of our elite clients and we are backed by Maintenance & installation support. We offer a wide assortment of Drain Valves, Air Dryers and Filters. Our Storage Tanks, Air and Water Coolers are widely acclaimed in the market. We offer Compressed Gas Filters and Air Purifiers that are superior in performance. Air Filter Parts and Heat Exchangers offered by us are available at industry leading prices. Along with that we offer Drain Valves for Food Processing and Air Dryers for Textile Industry that are a class apart. We also provide Heat Exchangers for Engineering Industry that are extremely reliable. For More Information, Log On At http://www. dreamworkindia.